It’s a little known fact that the rural areas of the Northumberland National Park and Kielder Water & Forest Park have the darkest skies in England. In December 2013 a joint bid from The Northumberland National Park, The Kielder Water and Forest Park and the Kielder Observatory was successful in protecting an area of 1500 square kilometres in Northumberland which has been designated as England's first Dark Sky Park. It is called the Northumberland Dark Sky Park. It's estimated that around 85% of the UK population has never seen a truly dark sky or experienced the sense of wonder that a clear night crackling with billions of stars can give. With popular TV programmes like the BBC’s Stargazing Live and great attractions such as the Kielder Observatory on the doorstep, Northumberland is in a unique position of being able to offer ‘Astro-tourism’! With the largest protected Dark Sky Park in Europe, Northumberland is simply the finest place for a magical stargazing experience! The properties that we list on this page are, in our opinion, situated in areas that are as free from light pollution as possible and therefore fantastic for star gazing. You won’t find any accommodation in a Village location here, even the small amount light pollution generated can hamper the viewing conditions. These really are the best places to stay to experience a night sky like nowhere else in Europe! Some properties even offer guided stargazing or events where you can join in with an expert and discover the wonders of the universe. You'll find this information on the individual Cottage page if it's available. Stable Cottage has been sympathetically renovated as part of what had been a former cattle court, it is tucked away in the foothills of the Cheviots and within walking distance of Breamish Valley and on the edge of the National Park. 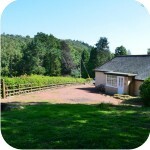 Sleeping up to four people in comfort, Stable Cottage is the ideal 'get away from it' property. More Information. Cheviot View at Westcliffe House is a luxury 4 star ground floor holiday home sleeping up to four people in two stylish and comfortable en suite bedrooms. It is perhaps the most spacious and impressive property at Westcliffe House enjoying uninterupted panoramic views of the Coquet Valley from both the Living Room and Master Bedroom. More Information. 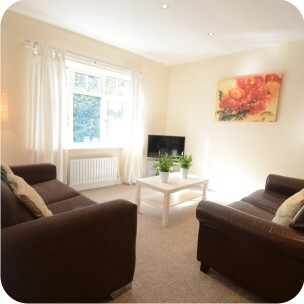 Poppies at Westcliffe House is a luxury ground floor holiday apartment sleeping up to four people in two stylish and comfortable bedrooms. 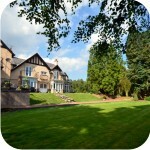 The Westcliffe House Estate covers 2.5 acres of private grounds on the edge of the popular Village of Rothbury. Poppies is idea as a couples retreat or for a young family looking to get awy from it all, yet still be close to the amenities of the Village. More Information. Coquet View at Westcliffe House is a luxury 4 star first floor apartment sleeping up to four people in two stylish and comfortable bedrooms. Accessed from the rear of Westcliffe House you'll be amazed by the feeling of space and the simply stunning views of the Coquet Valley through every window. More Information. 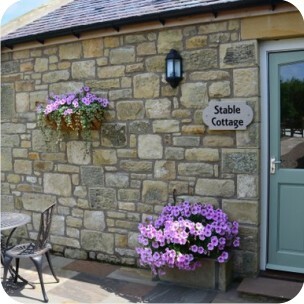 Bluebell Cottage at Westcliffe House is a luxury 4 star ground floor holiday Cottage sleeping up to four people in two stylish and comfortable bedrooms. The Cottage is located at the rear of the Westcliffe House estate adjacent to peaceful woodland (carpetted with bluebells each Spring) and overlooking beautiful countryside fields. The perfect getaway from the stresses of everyday life. More Information.